Smith and Warner’s IPL performances were taken into consideration and the selectors are confident that the return of the pair in the World Cup will help Australia defend their title. New Delhi: Australia announced their 15-man squad for the 2019 World Cup on Monday. The squad includes Steve Smith and David Warner, both of whom will be playing after a year-long ban. The pair have not played an international match since the Cape Town Test in March 2018 after they were banned for ball-tampering. The final squad is dominated by West Australians Shaun Marsh, Marcus Stoinis, Nathan Coulter-Nile, Jason Behrendorff and Jhye Richardson. The absence of Josh Hazlewood has made way for Behrendorff and Coulter-Nile on the team as pace bowlers. Nathan Lyon and Adam Zampa have been named as the spinners. 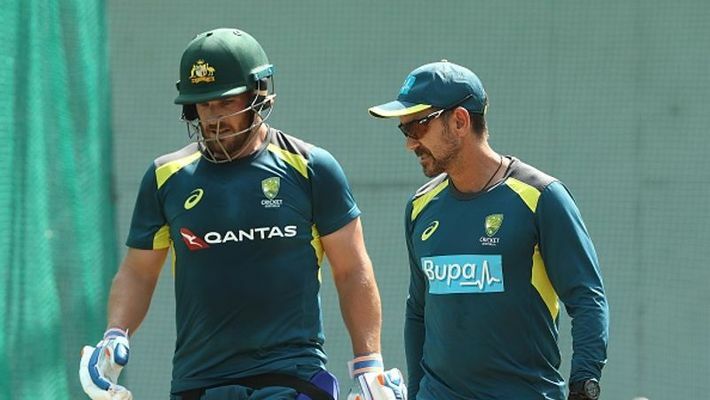 Team coach Justin Langer said that two of the best batsmen will defend Australia in the World Cup. Australia will play their first match against Afghanistan on June 1 with Aaron Finch as the captain. The final squad list was due next Tuesday but the selectors finalised their plans and made the announcement early. Mitchell Starc and Richardson have been included in the final list despite their injuries after being deemed sufficiently fit for the series.